Diana is the current Learning Specialist for Forest Ridge Middle School where she provides instructional support for girls in grades five through eight. 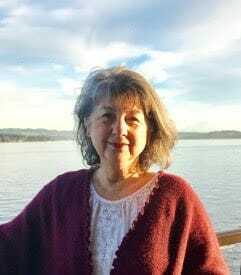 Following ten years as a reading specialist/evaluator in private practice in California, Diana moved to Seattle and was hired as the first learning specialist for St. Thomas School in Medina. Now in her fourth year at Forest Ridge, Diana continues to relish the connections she makes with the girls, their parents and the educational community in school. She is excited to have the opportunity to share her considerable experience and training with the community at large through outreach and engagement as a board member. Diana Vaniotis, formally a certified K-12 teacher in California, holds an Educational Therapist certificate from UCSC and MA Ed. in special education from SJSU.